Chris Smith was named captain for his 50th appearance for Playford. He scored the fifth as Playford won 5-0 against Claydon 07. 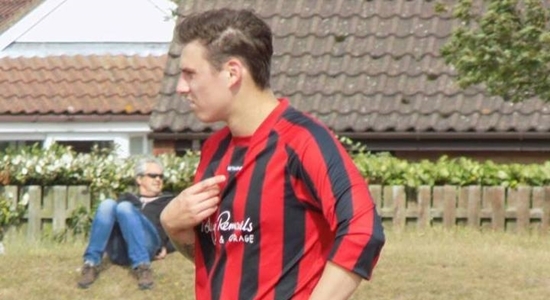 Chris joined for the 2014/2015 and made his debut in a 5-1 win against AFC Bergholt. He scored his first goal for the club in a 3-2 defeat by Stage Security, he also assisted Playford's other goal that morning. He bagged a brace against Pauls and collect his first of four Man of the Match awards. Chris is a versitle player for the club, able to play in midfield and defence. He has also helped out in goal on four occasions. Chris' appearances are made up of 40 for the First Team and ten for the Reserves. In addition has seven goals to his credit.